Consumers allege that they were charged interest on balances and cash advances months after balances were paid in full. Several major banks such as Chase, Ally and more are included. With this new service, Kohl’s says it will accept “eligible” Amazon items, without a box or label, at no additional cost for the customer. If Spain is on your travel list, then check out this awesome deal. There's currently super cheap flights from Boston to Madrid, Spain for only $216 round-trip. 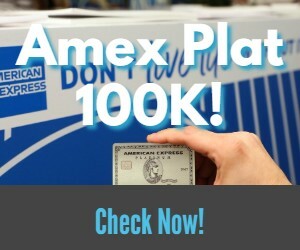 American Express has a targeted offer for some current cardholders with a bonus of 60,000 Membership Rewards points for upgrading to the Amex Platinum credit card. TD Ameritrade has an offer that can earn you up to $1,500 with a new account. The maximum bonus requires a huge deposit, but you can also get smaller bonuses with less money. Two deals on eBay today. You can earn 8% back in eBay Bucks on most purchases and there's a 15% discount on iTunes Gift Cards.